The GAR contributes to achieving the Hyogo Framework of Action (HFA) through monitoring risk patterns and trends and progress in disaster risk reduction while providing strategic policy guidance to countries and the international community. 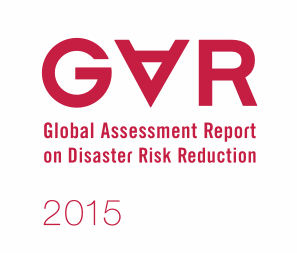 The 2015 edition of the United Nations GAR on Disaster Risk Reduction is issued at a pivotal moment for the future as worldwide interest and commitment to improved Risk and Resilience Management continues to develop. In 2015, the global community is aiming to adopt an ambitious set of sustainable development goals and a meaningful, universal agreement on climate change. Disaster risk reduction can play an important role in advancing these agendas through its close links with poverty reduction, sustainable growth and shared prosperity. Further, Disaster Risk Reduction relies on organisations understanding the risks they are facing and having the capabilities to properly address the issues these risks raise. 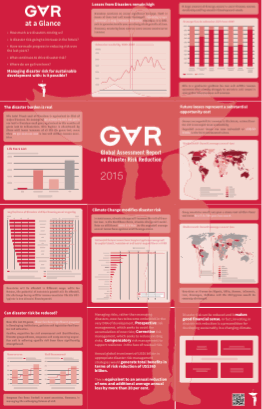 The GAR2015 report is a strategic document that can not only inform on national issues, but also be used by organisations to better appreciate how the themes addressed can impact on their interests over the coming years. The report recommends a fresh approach be taken to the disaster planning which manages the risks proactively rather than simply managing the response to disaster. UN Secretary General Ban Ki-moon on the launch of the GAR 2015 report. If you would like to know more about our work covering Climate Risk and Adaptation get in touch. You can also find more information and resources on our Climate Portal by clicking on the link in the menu bar.